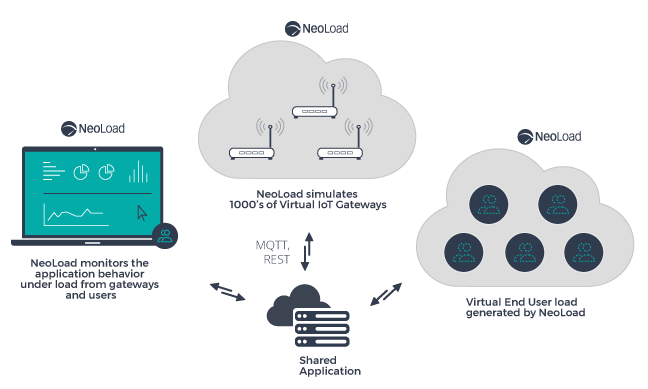 NeoLoad delivers the capabilities teams need to create realistic IoT load and performance testing scenarios. You can quickly and efficiently create tests and monitoring profiles that accurately represent your real users regarding network conditions and geographic locations. In today’s app-driven and IoT world, consistent application performance equals end-user satisfaction and engagement – which directly impacts business growth and performance. After all, when you dim a smart light bulb using an app or turn up a smart thermostat, you expect that it will just work. Meeting these expectations is what separates good IoT solutions from great ones. And the only way to know your solution will perform in real-world use cases and conditions is through performance testing. Depending on the application, performance could even be considered life-critical, because it could impact the security of a human being, such as in the case of a smart health kiosk or self-driving car. The complexity imposed by the always-on connection to servers and atypical loads presented by these shared Applications and diverse endpoints can make it challenging to get realistic testing results with manual tools. But, testing early and often using an effective load testing solution, speeds up testing by automating wherever possible. The result is you can pinpoint and address performance issues earlier in the lifecycle. The Neotys Cloud Platform (fully integrated into NeoLoad) enables on-demand testing from multiple cloud providers and many geographic locations with a pay-as-you-go licensing model. Run cloud-only or hybrid cloud load tests to get the most realistic, geographically distributed understanding of your app’s overall performance, including the network constraints imposed by the Wide-Area Network (WAN). 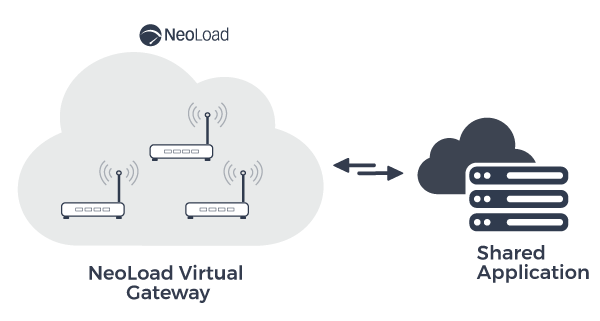 NeoLoad supports the MQ Telemetry Transport (MQTT) protocol for load testing “real world” devices, using a NeoLoad advanced action. This capability makes it easier than ever to performance test connected cars, planes, air conditioners, refrigerators, and any other machines using the MQTT protocol.